Artist Joe Crisanti of Crisanti Glass has been providing high quality glass work for over 15 years to a variety of customers. He will be teaching glass working this summer, in our Studio Annex! If you are interested in glass, we hope you will join us as a studio member in May, 2019 so that you can learn from a glass torchwork expert! You can learn more about Joe’s work on his website. Katy Collier is an accomplished artist and instructor based in Greensboro, North Carolina. She has expertise in a number of printmaking techniques, including relief, etching, monoprints, silkscreening, and more. She has taught at numerous universities and institutions nationally, and we are so excited to host her this June at Alchemy! Learn more about Katy and her work here. Tess Malijenovsky is a photographer and writer based in Portland, Oregon. She is drawn to using alternative darkroom photography techniques to create images inspired by the liminal space between the environment, the feminine, and consciousness. 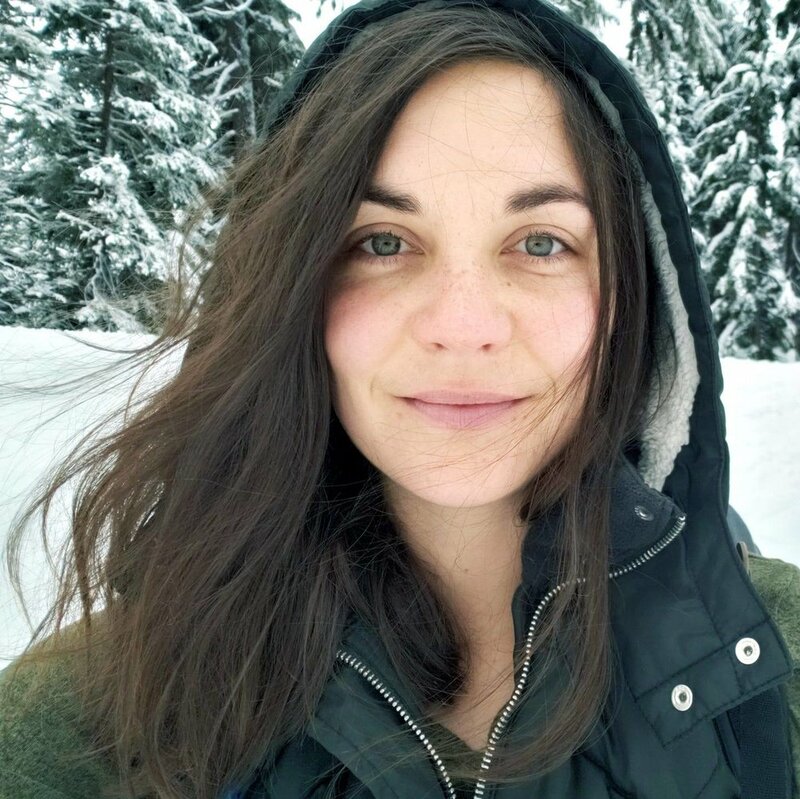 Tess is a freelance creative with a background in environmental journalism and nonprofit communication. During June, Tess will be teaching photo classes, free to members- Stay tuned for this exciting opportunity! Sara Condo is an interdisciplinary artist based in Chicago, Illinois. She uses personal experiences as a living site for exploration into the complex narratives surrounding gender, technology, and history. Condo uses an experimental media based practice to explore unwritten stories and deploys them in the present form to envision new futures. In addition to a traditional studio practice, Condo is a musician and traveler. Condo studied Media Arts at DePaul University, received her BFA from the School of the Art Institute in 2009 and received her MFA at University of Illinois at Chicago in 2016. Condo’s work has been exhibited at numerous galleries, and her moving image work has been shown in various experimental platforms. She has held residencies at Ox-Bow School of Art and Artist Residency, ACRE Artists Cooperative and Residency, and WZFR Residency for Experimental Film makers. She continues to live and make work in Chicago, Illinois where is is a professor teaching photography, audio and new media.